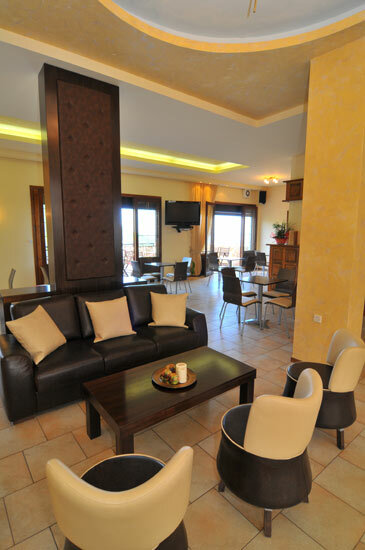 Welcome to Hotel Komninos, a place of quiet and easy-living far away from the stresses of every-day life. 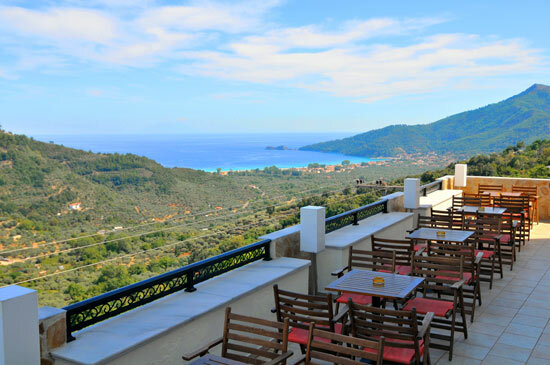 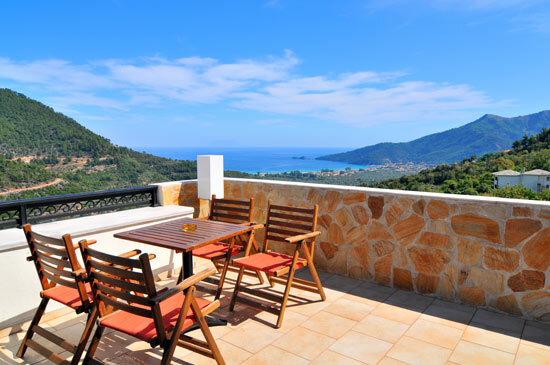 We are located in the beautiful mountain village of Panagia, where we combine the natural beauty of our environment with exceptional service and gratifying hospitality so that you may enjoy a remarkable stay and an unforgettable holiday on Thassos. 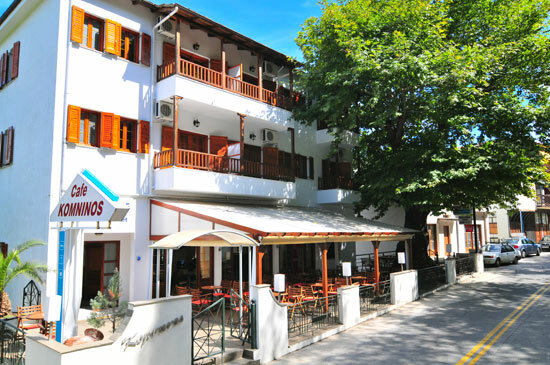 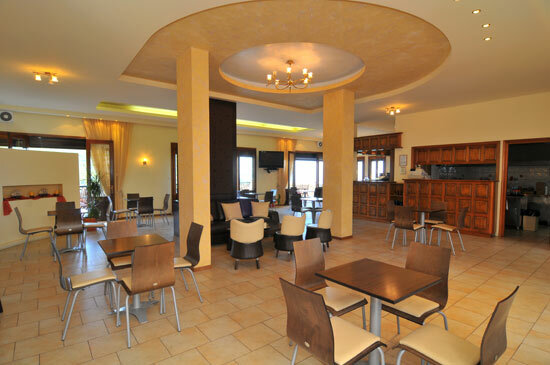 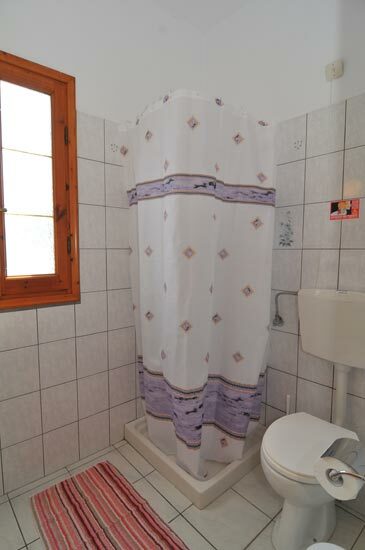 Hotel Komninos offers 10 spacious rooms divided into 6 double rooms and 4 triple rooms. 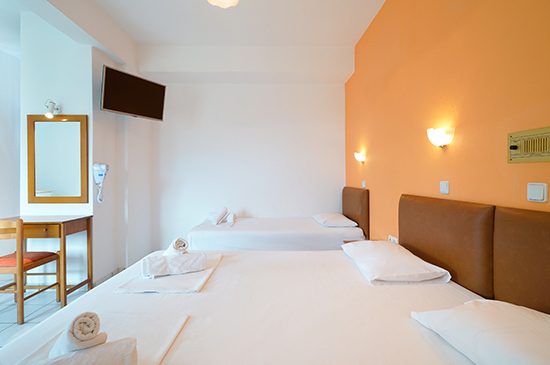 If more beds are needed we can provide them in the bigger rooms. 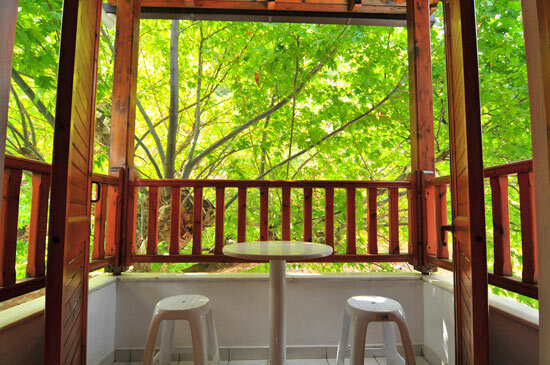 The rooms are equipped with air conditioning, television, and a refrigerator. 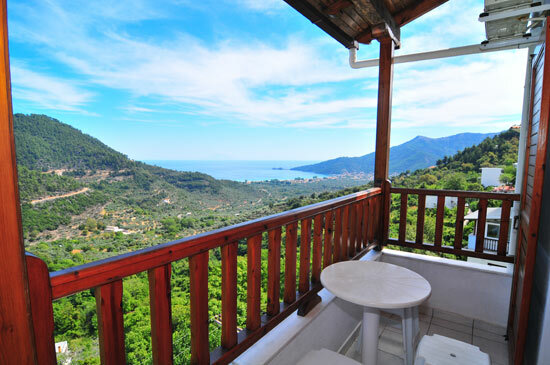 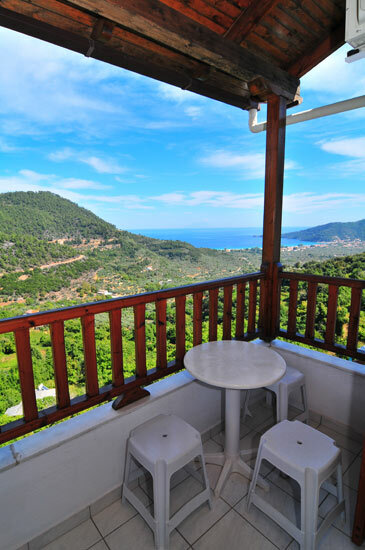 Each room has a balcony of which 4 face the sea and offer an incredible sea view and 6 face the enchanting green mountains. 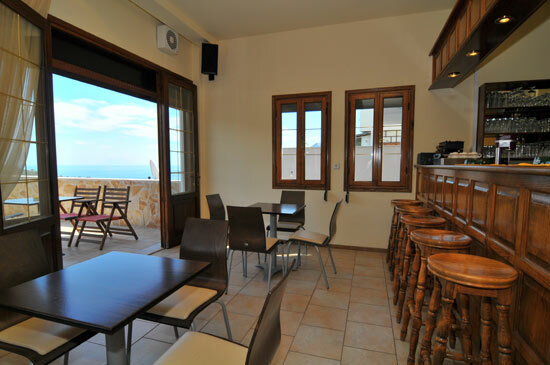 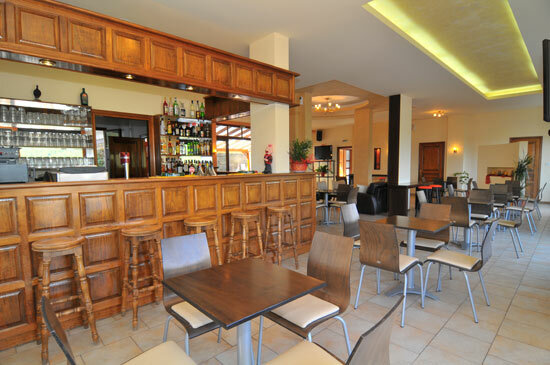 Café-Bar Komninos is on the ground level just below the rooms and offers drinks, snacks, and refreshments in a relaxing, laid-back atmosphere. 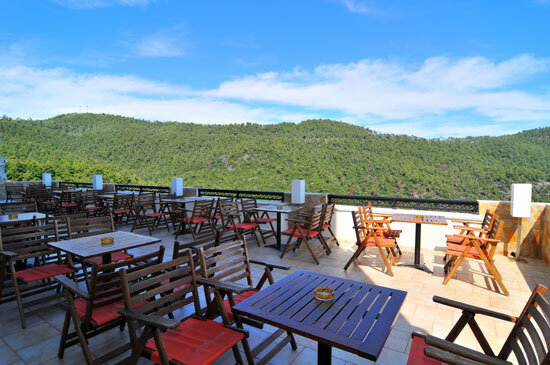 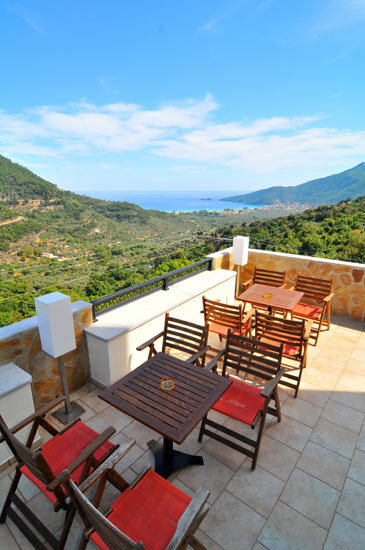 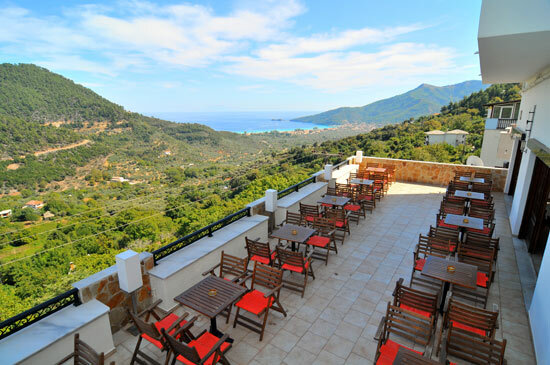 Here you can enjoy mingling with your friends as well as the locals, play a game of backgammon, or just admire the breath-taking views of the mountains and the sea that our large veranda offers. 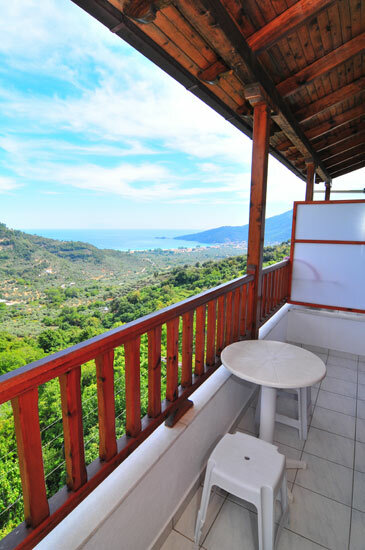 Golden Beach is just 4 Km. 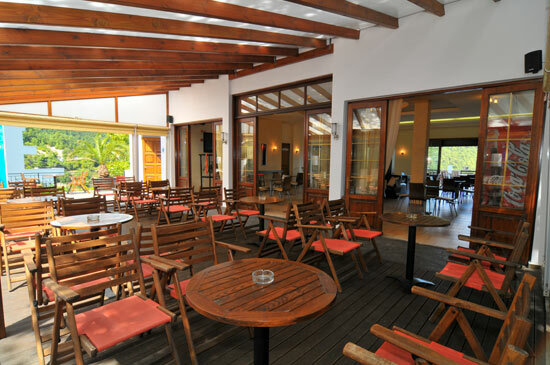 away, or just a 5 minute drive. 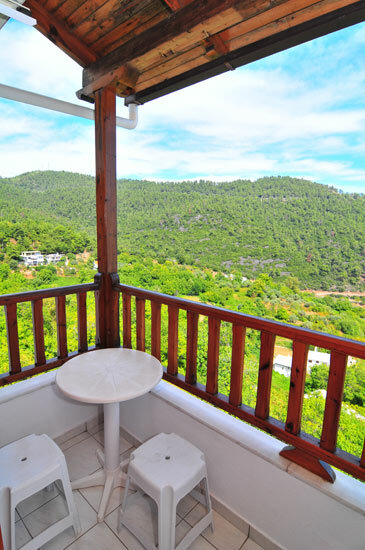 We are surrounded by lush forest as far as the eye can see, with numerous paths and mountain trails, a real treasure for walkers, hikers and lovers of nature. 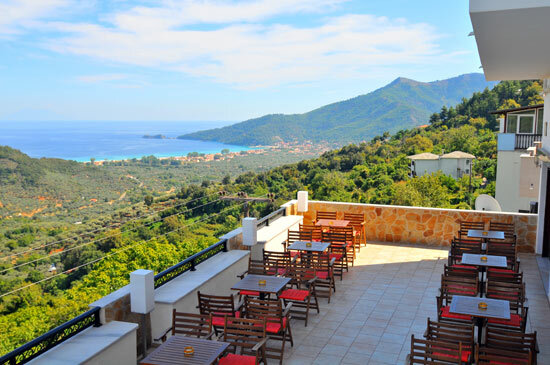 Panagia is famous for its local culture, architecture, mountain springs, water canals, and fine traditional dining experiences. 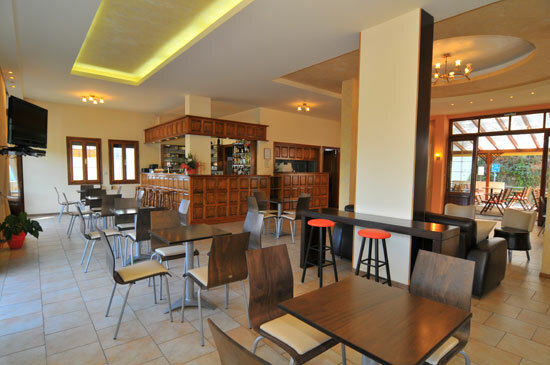 We are just 200 metres from the village center where you'll find restaurants, shops, a bakery, a supermarket, a pharmacy, bus and taxi stop, and much more.